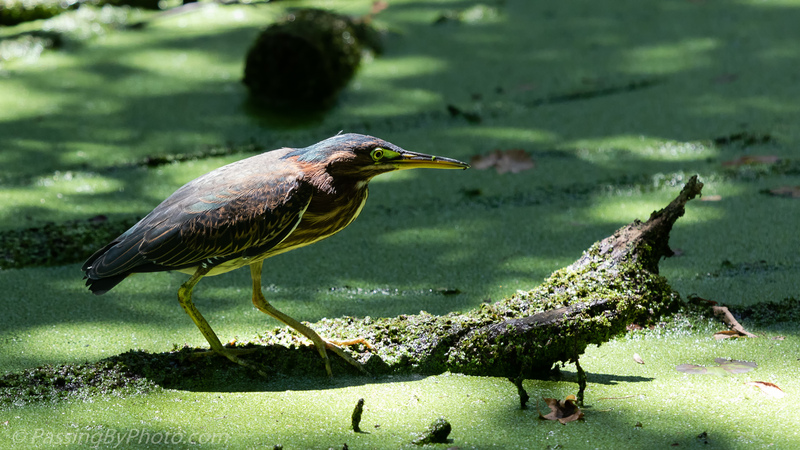 Slowly, slowly a Green Heron inched along a log and finally moved into a small patch of sun for a well lit photograph. 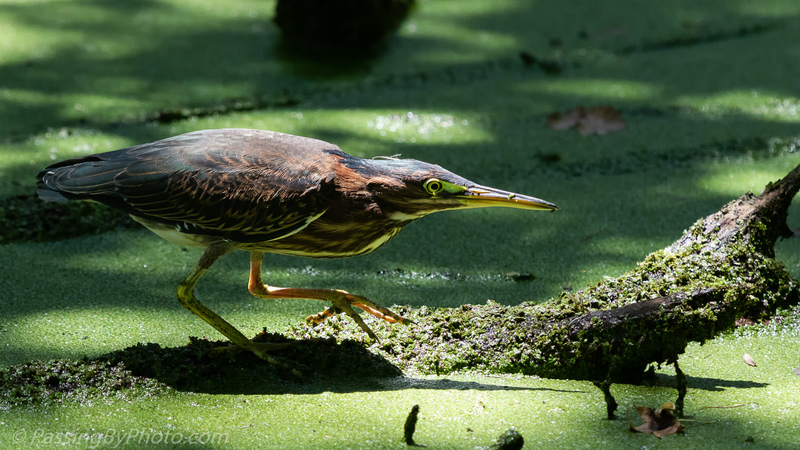 Herons are known for their patient hunting and this one had the routine down. With less patience than the Green Heron I put my camera down when he stood up a bit thinking he had given up on whatever he was stalking. I should have stuck with it another 20 seconds. 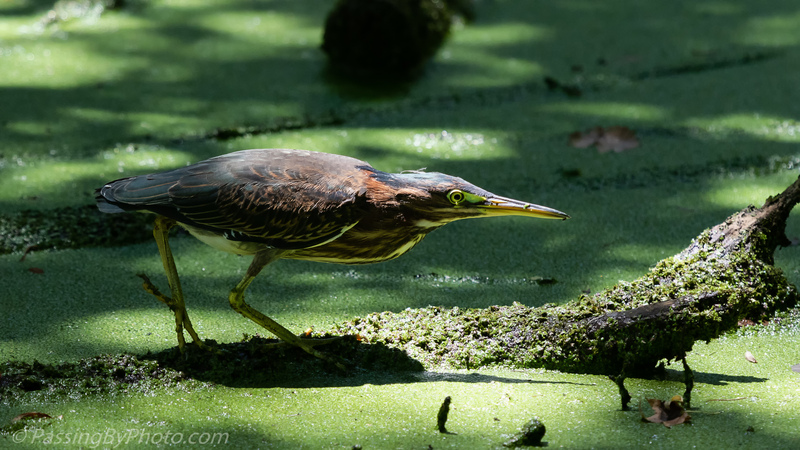 Bam, a large frog became lunch but was not to be photographed as heron with frog disappeared into the dark underbrush. Nice photos, I feel for the missed frog grabbing shot. Thanks, Donna! The things we miss, LOL, part of what keeps us getting out there! Any time I want to see real action, all I need to do is put my lens cap on! Oh, how often that does the trick! You’ve captured the bird’s intensity. Wonderful photos Ellen! Thanks, Belinda! Intense is a good word for them!